Lukaku is fresh from scoring a brace at Selhurst Park. "It’s perhaps not that surprising. Shaw struggles when quick players turn quickly or try to run past him and the former Saints man doesn’t seem to have a problem picking up a card if it will avoid serious danger. He’s got two in his last four games ad the 7/2 he gets another is definitely worth chancing." After a tough home draw against Liverpool where Man Utd lost three players to injury before half-time, Crystal Palace away presented a very different sort of challenge. They won 3-1 and it proved Ole Gunnar Solskjaer can also win games when deprived of some of his best players. He's likely to be without many of them yet again, albeit with home comforts to look forward to this time. Nemanja Matic is definitely out, Ander Herrera, Juan Mata and Jesse Lingard are probably unavailable as well but Marcus Rashford, who came on late at Selhurst Park should be available to start. Huge win in midweek for Southampton. Not only was it a big three points for them but it means survival is practically impossible for Fulham now, who are 10 points off safety. The Saints will be looking at the situation and thinking that with Fulham and Huddersfield pretty much as good as down they'll just have to finish above Cardiff (25pts) or Brighton (27, same as Southampton) to stay up. That won't be that easy but it's a far better scenario than what was facing them a few weeks back. Danny Ings and Mario Lemina are still out. Southampton have enjoyed playing Man Utd at Old Trafford...at least they have since Sir Alex Ferguson retired. They've won just one of their five league games since he called it a day, with the last two being draws, according to Opta. And here's another stat to make you think twice about charging into the 1/2 about United winning: since the 2013-14 campaign, only Man City and West Brom have won more away games at Manchester United than Southampton's two. The draw is 7/2 and if many of those United players listed before don't recover in time for this match, there's a possibility some fatigue might kick in to the Paul Pogbas and Romelu Lukakus who have been playing a lot recently, giving the Saints a real chance at an upset. Their record against the Reds suggests it's not that unlikely. A huge 77% of United's home games this season have gone over 2.5 goals. For the Saints, it's 50% of their home games so that explains why over 2.5 goals is favourite at 8/11. Then again, just two of the last seven games between these two in the league had at least three goals so it's a hard one to call, especially with doubts over which of the hosts' forward players will be available to feature. Best leave it alone. Solskjaer's arrival certainly hasn't curbed the potential for United players to pick up cards. Slick, attacking football they may be playing but they're not afraid to bring players down or resort to other under-hand tactics if necessary. Ashley Young (11/4 to get booked) has seven bookings this season, Nemanja Matic has five (also 11/4 but unlikely to play here) and even Alexis Sanchez, who has hardly played, has three. But the bad boy of the side is no other than Luke Shaw. His nine yellows put him second place for the most this season, behind only Watford's Jose Holebas, who has 10. It's perhaps not that surprising. Shaw struggles when quick players turn quickly or try to run past him and the former Saints man doesn't seem to have a problem picking up a card if it will avoid serious danger. He's got two in his last four games ad the 7/2 he gets another is definitely worth chancing. 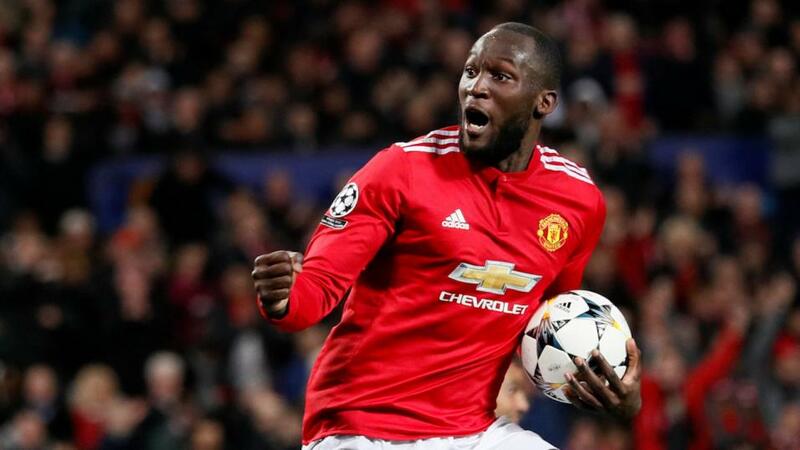 Romelu Lukaku really needed those two goals in midweek. They were his first in seven games, though many of those appearances were off the bench. But it might be worth striking while the iron is hot and he certainly likes playing this lot; he's scored seven in his last 10 games against them. It may not be worth backing United straight up at 1/2 as a single but though we do respect the Saints' record against them, it's a sign of a good team that manages to find ways to win when not playing at their best and sometimes without important players, which has certainly been the case with Man Utd. There's another good omen in our favour. Don't worry too much if the hosts go behind because they've recovered on eight occasions to beat the Saints after trailing, a joint-record in the Premier League. A Lukaku goal (10/11) in a home win (1/2) comes to odds of 2.66.